Buttermilk pie is a favorite of mine around fall and in the winter. The pie is something of a Southern classic, and although I am not from the South, it is definitely a well-liked comfort food dessert to have when the weather starts to cool down. Buttermilk pie is essentially a custard pie made with tangy, buttery buttermilk as the primary dairy component. They’re often flavored with a bit of nutmeg or lemon zest. This Buttermilk Lime Pie has a flavor in it that you don’t normally see in buttermilk pies and marries buttermilk pie with key lime pie, another flavor that I am a big fan of. The pie has a bright, but not tart, lime flavor that comes from freshly grated lime zest, not from the addition of lime juice. It has an almost pudding-like texture that is fluffier and less dense than the filling of a typical key lime pie. It also isn’t quite as silky smooth as key lime pie fillings tend to be. The result of this is that the pie feels a lot homier to me, and it also is more likely to encourage me to reach for seconds. The pie can be served at room temperature, but I prefer it slightly chilled with a bit of whipped cream on the side. I used a homemade graham cracker crust for this pie. Graham crackers make for a crispy crust and add a really nice additional layer of flavor to the pie. 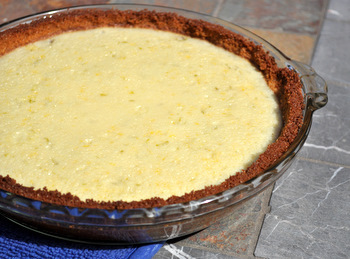 I generally opt for graham cracker crusts when I make key lime pies, too, so using one here reminds me of key lime pie even more. A pastry crust works perfectly well, with this filling but should be blind baked before adding the filling to it. If you do use a pastry crust, consider adding an teaspoon of lime zest when you make it, to further highlight the citrus in this dessert. In a large bowl, whisk together sugar, flour and salt. In a medium bowl, whisk together melted butter, buttermilk, eggs, vanilla and lime zest. Pour into sugar mixture and whisk until just combined. Pour into prepared crust (storebought or homemade). 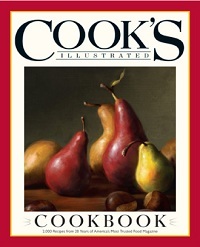 Bake for 35 – 40 minutes, until filling is set and jiggles only slightly at the center when the pan is given a gentle shake. Cool completely before slicing. Pie can also be refrigerated, and leftovers should be stored in the fridge. In a food processor, whizz graham crackers until reduced to crumbs. Add sugar and pulse to combine. Pour in vanilla and melted butter and process until crumbs are all moistened. Press firmly and evenly into a 9-inch pie plate. Bake for 8-10 minutes, until browned at the edge. Cool completely before using. 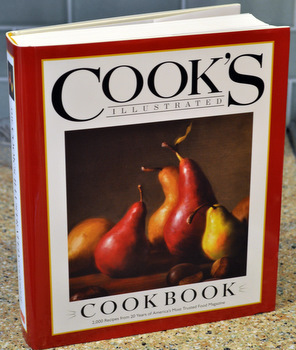 Next PostNext The Cookâ€™s Illustrated Cookbook giveaway! Wow, I’ve never heard of buttermilk pie? This looks great! I’m cook a lot of BBQ, I wonder how this would taste after 30-40 minutes of apple or cherry wood smoke? You so had me at buttermilk. There is something about that ingredient – creamy, tangy – that sneaks into all sorts of dishes I make (you know, it just dawned on me that I don’t think I ever used buttermilk in anything at culinary school). Gorgeous pie.